An event honoring Peter Weiss for his decades-long fight for nuclear disarmament highlighted the ongoing need for such work. Lawyers, scholars, policy experts and others gathered at New York’s Downtown Community Television Center Wednesday evening with keen awareness that climate change isn’t the only threat hanging over the whole planet’s future. The event, organized by the Lawyers Committee on Nuclear Policy (LCNP), was meant to both honor its president emeritus, Peter Weiss, for his decades of work for nuclear disarmament, and highlight the ongoing need for such work. Weiss was a key force behind anti-nuclear weapons submissions to the International Court of Justice, which in 1996 issued an advisory opinion ruling the threat or use of nukes broadly illegal. But in recent years, Weiss has written, “the horror is gone” from perceptions of nuclear weapons, simply because nuclear war has been avoided so far—not because the threat is gone. The US is still working on perfecting nuclear weapons, in February announcing the successful test of an improved B-61 nuclear gravity bomb, and Obama’s demands for disarmament have weakened in the face of the great power deterrence mindset. 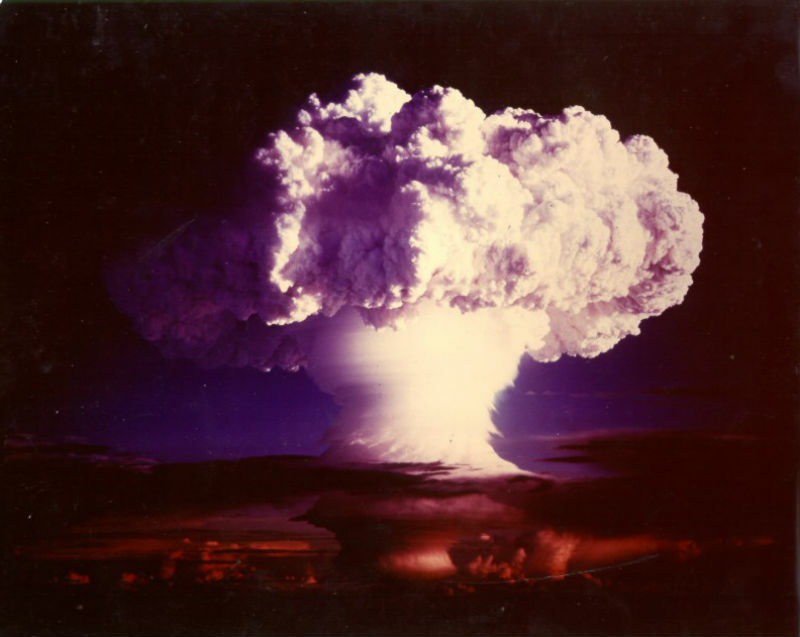 “The nuclear weapons powers, far from taking any concrete steps in good faith,” Weiss said Wednesday, “are taking steps backwards.” As with climate change, a few large countries hold most of the potential to destroy everything, and the environmental and nuclear threats remain “the only two things that are going to end this whole adventure called life,” said Weiss’s wife, Cora, herself a veteran activist. Justine DrennanJustine Drennan is a fellow at Foreign Policy magazine. She's a former Nation intern and has reported for The Associated Press in Cambodia.